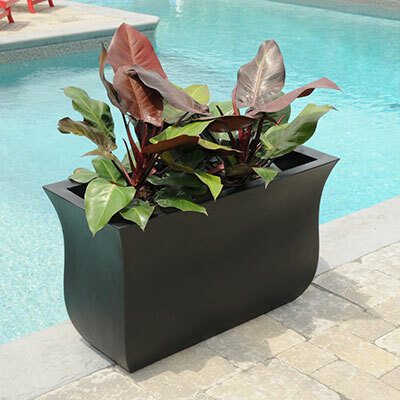 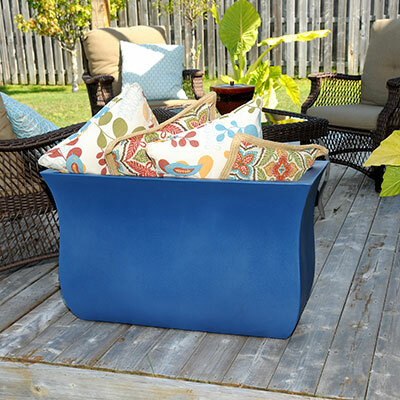 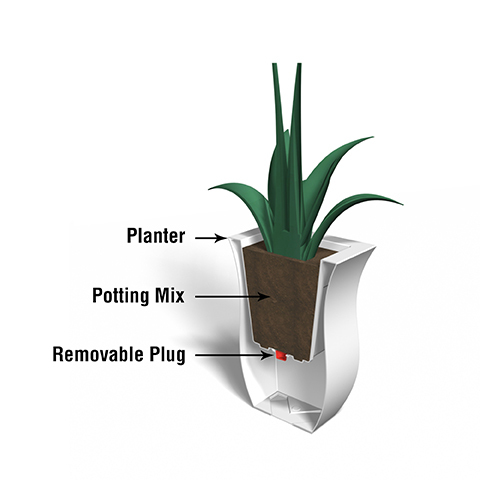 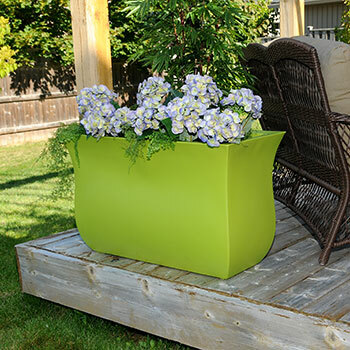 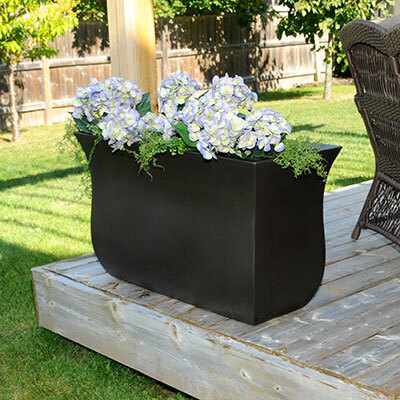 The Valencia Patio Planter offers a rectangular tulip shaped planter which would be a perfect, elegant addition to the front porch while taking up minimal space. 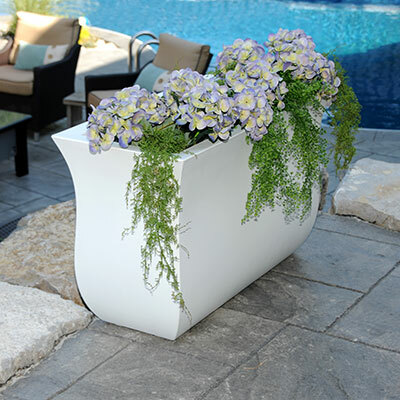 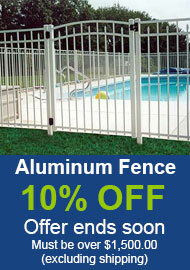 This elegant design will make a grand statement to your entrance ways, patios and terraces. 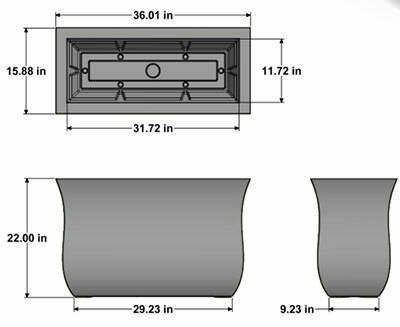 Top dimensions: 16" x 36"
Bottom dimensions: 9.23" x 29.23"
Soil capacity is approximately 15 gallons.